By Debbie Schlussel – Copyright 2011. All Rights Reserved. Why are Michigan taxpayers paying money to an unindicted co-conspirator in the Al-Qaeda 1993 bombing of the World Trade Center? And why did they pay money to a well-compensated Detroit television news anchor, who has reported on and anchored news shows regarding the Michigan Film Tax Credit and Islam, topics for which he has admitted to taking money? DebbieSchlussel.com can exclusively report that Michigan taxpayers subsidized the salaries of Imam Siraj Wahhaj, designated by the Justice Department as an unindicted co-conspirator in Al-Qaeda’s 1993 World Trade Center bombing, and Devin Scillian, primary news anchor of Detroit’s NBC affiliate, WDIV Local 4. Both of them had acting roles in “Mooz-lum,” a Muslim propaganda movie which received a 42% subsidy from the State of Michigan. “Mooz-lum” received about $617,400 from the State of Michigan. It is currently being shown exclusively in AMC movie theaters which paid a premium to show this amateurish movie (which looks like it was shot on my parents’ 1970’s home movie camera). Yesterday, Scillian–the NBC affiliate anchor–confirmed in an e-mail response that he was paid for a day’s work in the movie, and we have already confirmed that Wahhaj was paid, ironically, for his acting role as a “peaceful” imam preaching the “tolerance” of Islam. That’s despite the fact that Wahhaj, in addition to being a co-conspirator in a Muslim terrorist attack on America, is openly anti-Semitic, anti-American, and a supporter and promoter of HAMAS, Hezbollah, and other Islamic terrorist groups, none of which was reflected in his role as a “peaceful” imam in “Mooz-lum.” Wahhaj is a frequent fundraising speaker for the CAIR Action Network, which the Justice Department says is an unindicted co-conspirator in HAMAS terrorism. Detroit news anchor Scillian has repeatedly promoted Islam and the Michigan Film Tax Credit on the “Flashpoint” show he hosts and moderates and in his newscasts, without disclosing that he received payment from Muslims and the Michigan Film Tax Credit and is, therefore, de facto biased toward both. It’s a blatant violation of basic journalistic ethics. And it’s extremely troubling that a news anchor would appear in a movie with a co-conspirator in terrorist attacks against Americans. 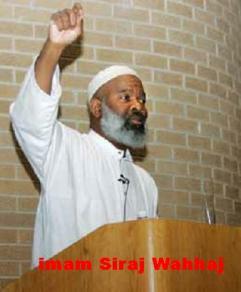 Wahhaj has defended the ’93 WTC bombers and said the “real terrorists” are the FBI and CIA. (Of course, none of this was shown in the movie, either.) If Scillian didn’t know about this, then he didn’t do his homework and maybe shouldn’t be in the news business. He certainly should have read the script of the movie and should have been troubled by the message and content of the movie. But, apparently, he wasn’t. Lights, camera, action . . . .
Mooz-lum Trailer (The Movie Michigan Taxpayers Paid 42% of) . . .
As you may have heard, Michigan has a Film Production Tax Credit, which gives filmmakers, music video producers, video game creators, and television producers 42% back on every tax dollar. The credit–the most generous in the nation–has brought a lot of film productions to Michigan, most of them straight-to-video and small-budget amateurish projects and a good deal of them just flat-out sleazy, like “Hung,” the HBO show. The liberals who run the Michigan Film Office play favorites and decide which films and other projects receive the credit. And “Mooz-lum” was one of the favored, chosen few, in violation of the Michigan Constitution, which has an even stronger prohibition against the promotion of religion than the U.S. Constitution’s Establishment Clause. The movie’s message is that Muslims–not the 3,000 Americans murdered in cold blood–were the real victims of 9/11. As its “evidence,” the movie shows a mob of White University of Michigan students chasing Muslim University of Michigan Students and beating them with sticks and broken glass bottles, something that never happened. But Scillian, a real-life news anchor, appeared in newscasts throughout the movie, which alleged that Americans beat and attacked Muslims all over the country. That never happened either. The one major incident in response was a fatal attack on a Sikh–not Muslim–gas station owner. After 9/11, violent attacks against Jewish students at the University of Michigan–most of those attacks committed by Muslims–increased geometrically. Also, post-9/11 the Muslims on Michigan’s campus, hosted an openly anti-Semitic conference at which convicted Islamic terrorist, Sami Al-Arian was the keynote speaker. Al-Arian planned and funded a bus-bombing that killed American college student Alisa Flatow. The conference was sponsored by the Muslim Student Association, and Muslim students repeatedly chanted, “Annihilate the Jews!” in Arabic. In contrast to this, “Mooz-lum” promotes the Muslim Student Association as a peaceful, tolerant organization on the Michigan campus. It is anything but, and openly promotes and supports HAMAS, Hezbollah, and a number of other terrorist organizations. It is well-known, and was reported several years ago in the Chicago Tribune, that the Muslim Student Association (MSA) is an arm of the Muslim Brotherhood, the Islamic terrorist group from which Al-Qaeda, HAMAS, Islamic Jihad, and a number of other Islamic terrorist groups have been born. The next time you watch a local newscast, ask yourself whether the guy pretending to be an impartial news anchor and moderator is taking money from Islamic propaganda projects. And the next time your state wants to subsidize “films” and “productions,” ask yourself whether or not you want your tax money to go to promote Islamic extremists and their propaganda. 9/11 truly was a victory for Muslims and their grand jihadist plan. And it goes well beyond the mass murder of 3,000 Americans. After that, it took just a few thousand dollars to buy off a news anchor in a major market and make sure an unindicted terrorist gets paid. All courtesy of your tax dollars. It would be hilarious, if it weren’t so tragically stupid. In Massachusetts, the ponderously unintelligible Mayor of Boston (a collosal embarrassment for 16+ years) gave tax-payer $$ to build a Mosque in the cold, old city. I am having a hard time figuring out why all this Moooooslim pandering is so profligate? Is it PCness? I just don’t get it. They have to work harder to obscure a truth than we have to in illustrating what the dastardly Moooooslims are doing. I just don’t get it. I am tired of being outraged. I am tired of so many clueless Yanks just 1) not knowing the threat of Islam and 2) Those that do know, try to obfuscate and stick up for the Mooooslims. I have always remembered that that Sikh was the only one killed after 9/11. It’s so sad and illustrative of how bloody clueless Americans are. It’s outrageous. whenever something is going on that is unintelligible, or counterproductive, or seemingly idiotic, my advice is to always do the following: check cui bono— Who benefits? or in this case, follow the money. The Saudis pay their friends very well. There is no doubt a money trail in Boston. Many Americans are clueless. Not this one. Debbie my favorite part of this post is the AK/WND warning at the top. I used to read WND more a few years ago but there’s something annoying about the site even aside from the plagiarism and misleading content. I like Debka more now, even though they have a paywall. Also I’m waiting for you to play me words with friends/top commenters. You can dowload the app on Android now. Can you imagine the outcry if they made a film that portrayed what actually happened, as noted by Debbie above? But of course, whites are the only group capable of racism and bigotry, especially if you’re from the South. As night follows day, Aaron Klein will ripoff this piece and claim it as his “exclusive reporting”. He won’t be deterred by the disclaimer. That’s for honest folks. As for the story, it goes to show that in Michigan, taxpayers will about finance just anything, no questions asked. As for what the reporter did, real life journalists have had cameo roles in various movies but then they aren’t pretending to be anything more than actors. A journalist who pretends to be a journalist and not disclosing his bias, that’s a different ball game. As for the whitewashing of Islam, that’s par for the course the days. When you see this film, expect to see only one side of the story. Yup, that’s what we get served up a decade after 9/11. What you’re calling the Michigan “Film Production Tax Credit” is, as I understand it, far more of a give-away than your words describe. You say it “gives …back 42% on every tax dollar.” That makes it sound like a tax credit such that 42% of every dollar spent in production costs is usable as a credit to count against the dollar amount of taxes ultimately owed to the State of Michigan by the producers. IT IS NOT A MERE TAX CREDIT IN THAT SENSE, IT IS A CASH SUBSIDY WHEREIN 42% OF ALL PRODUCTION COSTS ARE PAID BACK TO THE PRODUCERS BY THE STATE AS A REIMBURSEMENT FOR THEIR EXPENDATURES. Thats why the dollars PAID OUT BY THE STATE get so big so fast before any taxable profit is generated by the final product. Your courage, clarity of thought, morality and tenacity are each top of scale and we as Americans are lucky to have you among us. Dear Skunky – Be assured that most Americans are not one bit “clueless” about the threat posed by Islam. Their voices are heard daily. The media usually dismisses them as gun loving christian fanatics, or people who aren’t smart or well educated enough to understand the complexities of life in America. Among those people are members of the U.S. military who are currently fighting a corrupt Islam in Iraq and Afghanistan. Those folks and their sympatheizers are many and well trained. They still love America and want it to survive for the benefit of their children, and they want it to surive as it has been built, not as some immigrant thinks it ought to be. Belive me Skunky – It ain’t gonna happen! And people will believe this propaganda and distortion of facts as truth and Im sure thats exactly what the Michigan film office is counting on. 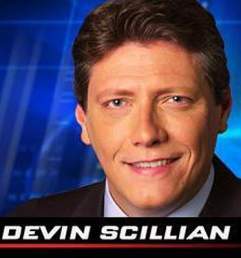 Why does Devin Scillian get to keep his job? Isn’t anyone at the station the least bit concerned that a member of its news team is a Jihad enabler? Debbie, great investigating. We’ve got to eliminate the film subsidy (tax breaks) Michigan has. Michigan taxpayers can’t afford the subsidies. I am afraid that more Americans need to be killed by Muslim terrorist attacks to wake up. However, it is only when a Congressman will the elected officials stand up and take notice. Ironic that the liberals who peddle this crap are going to be the first ones to die under sharia. No doubt that some will stay true beleivers to the end. Saying “I truly value your great culture” right before they drop a wall on him. Imagine the media ‘outcry’ if a movie was made that passionately showed a pro-American message. I would venture to bet that Devon Scillion won’t even acknowledge this report. He hides behind his PC persona and wants to be “everything” to all viewers. Guess he doesn’t remember the beheadings of the guys in the orange jumpsuits a few years back. Newsflash Devon…The Muuuzlums have orange jumpsuit in all of our sizes . Out of curiosity, I just checked out the reviews of this on the I.M.D.B. So far, there are only three reviews from the site’s members, and it links to five different reviews in major showbiz publications. Of these eight, only Michelle Orange of The Village Voice gives it a resounding thumbs down, essentially confirming Debbie’s assertion that it looks like a cheaply made after-school TV special full of wooden acting, and hamfisted prosthelytizing. I have worked in the TV industry and do support the tax credit. Michigan can no longer rest or be the “motor capital of the world.” We need new and diverse industries to make it and prosper. However, Michigan is also home to the most Muslims in the USA. I read a story on this site awhile back where, we lost the Michigan State Fair, a 100 year tradition because of budget constraints. But somehow the Michigan Government was still able to support and subsidize millions of dollars in aid and assistance to Muslim outreaches. Of course if the Michigan Film Tax turns out to be a rip-off of Michigan residents, and worse, some kind of funding for Islam and its propaganda. Then this needs to be investigated. I wouldn’t be surprised as this article is showing, if some really ugly things were uncovered. The tax credit for the film industry will help spur other jobs and other markets. What we cannot lose sight of is that is once again, tax subsidies and other programs are being abused openly by Muslims. And no one is doing anything about it. Instead, it’s easier to overreact and retract and discontinue everything. This article is not problems with the Michigan Film Tax. What it has done is highlight another Muslim pandering problem. Could this be less about the film tax credits and more about abuse and fraud by Muslims? Michigan does have the largest Muslim population in the USA. I’m for the tax credits, because I think we need to attract other kinds of industry to Michigan. We can no longer, and never will be the “Motor capital of the World.” The film industry, having worked in it, creates jobs in other areas. Spotlight rentals, stage rentals, all kinds of off-beat industries. So I don’t think the tax credit is a big problem, just a Muslim problem open to fraud and abuse like we allow with medicare and social security fraud. Only if you’re Muslim can you bilk the Government of millions. A few days in jail, an empty threat of deportation, and you’re good to go. You know when I first heard about the movie – I was like this going to be dumb – but my friend convinced me to go – it actually wasn’t that bad. The production values I agree sucked, but the message of the movie was not bad at all. The movie’s message is that Muslims–not the 3,000 Americans murdered in cold blood–were the real victims of 9/11. As its “evidence,” the movie shows a mob of White University of Michigan students chasing Muslim University of Michigan Students and beating them with sticks and broken glass bottles, something that never happened. But Scillian, a real-life news anchor, appeared in newscasts throughout the movie, which alleged that Americans beat and attacked Muslims all over the country. That never happened either. 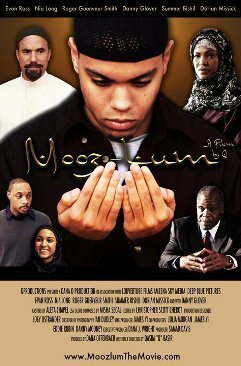 “Mooz-lum” also shows a University of Michigan Dean–played by neo-Marxist Danny Glover–as racist against Muslims and portrays him sending out a campus-wide anti-Muslim e-mail. That’s also complete fiction. That the Muslim Student Association is a peaceful, tolerant organization on the Michigan campus. Regarding the Mich. Film tax credit: Be careful what you wish for. In Canada there is substantial film tax credit activity, and depending on the folks in the govt organizations who dole out the cash, you can and will wind up with art-as-dictated-by government. You know Debbie, I agree with skunk in his thinking. What I can not understand is why presumably smart Americans insist to deceive themselves in this manner. This is the knotty problem that i was unable to solve. How Long will we keep deceiving the public like that under the veil of “Tolerance”. To be honest with you I support Danny Aghion not because he is an Egyptian like me but because he was courageous enough to put on his yarmulke. Mind you I am not Jewish, I am a Coptic Christian. Islam is a cult founded on treachery treason and deception. They found that this is the best way to fool naive gullible who want to fantacise about their open mindedness. We have to shake these people out of their come to come alive and think right. FYI, Devin Scillian was on The Event last night. As was several anchors from across the country. It is the NBC TV show. Good summary article below. Not as in-depth as DS & not anything new to long-time readers, but still worth reading. The MB’s doctrine is crystal clear on their objectives. The means for achieving these objectives is to wage “Civilization-Jihadist Process” – a “grand jihad” – to destroy us from within. They seek to co-opt our leadership in all areas of our society – political, military, intelligence/law enforcement, media, religious. Civilization jihad by our hands. When we see that the Islamic advisor to President Clinton was a Muslim Brother and an Al Qaeda operative currently in federal prison, or that the MB runs the Shariah Compliant Financial programs for the U.S. Department of the Treasury, or that senior policy advisors to Secretary Napolitano are Muslim Brothers, or that the Assistant Director for the FBI’s Weapons of Mass Destruction Directorate is an Iranian-born Muslim, we see that there are catastrophic security issues within the U.S. government and that – just maybe – the MB means what they say.